The Europa Park in Rust is about 15 km away, the amusement and theme park offers various attractions for young and old. When you stay with us you are on the edge of the beautiful Black Forest. 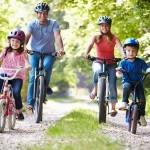 Hiking, cycling, swimming, golfing or spas, there is something for everyone! Be active, various paths near the hotel also lead to nice running routes. 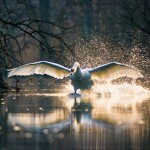 The Taubergiessen nature reserve offers protection to numerous endangered animals and plants. Discover its beauty on a boat trip or hike. Our hotel is located directly on the Rhine Cycle Route Freiburg-Mainz. In our area there are many beautiful cycling routes. Whether you like it flat, or sometimes want to conquer a hill, all can be found nearby. Closest city (about 8 km away) with around 40,000 inhabitants. 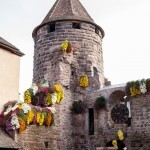 Lahr attracts many visitors particularly in the fall with the Chrysanthemum Festival. In 2018 Lahr will host the State Garden Show. 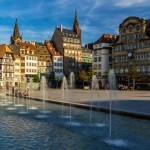 In addition to Strasbourg, Alsace also offers attractions such as the High King’s Castle and Colmar.